Title screen with all tiles. 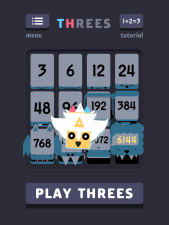 As you probably know, I am a big fan of the game Threes. The concept is simple: push like-numbered tiles into each other to combine them. 3+3 become a 6 tile, two of those become a 12, and so on. You might be more familiar with 2048, the blatant rip-off that quickly became more popular despite – or, perhaps, because of – its lack of depth. I compared the two in demonstrating the concept of first-mover advantage. In July 2014, I kept a live-blog of my attempts to reach the 11th level, the 3072 tile. I eventually made it a month later. The game is so well-designed that I’m still figuring out little tricks to get better; I now reach 3072, on average, once every 8 games. Several people have asked me for tips on how to improve, so I decided to record my screen while I played a game and talked through my thoughts. Consider it my Christmas present to you. I’ve reached the 12th and final level, 6144, eight times. According to a Reddit AMA (“Ask Me Anything”) last week, this level has been achieved only 900 times in 4.1 billion games played. 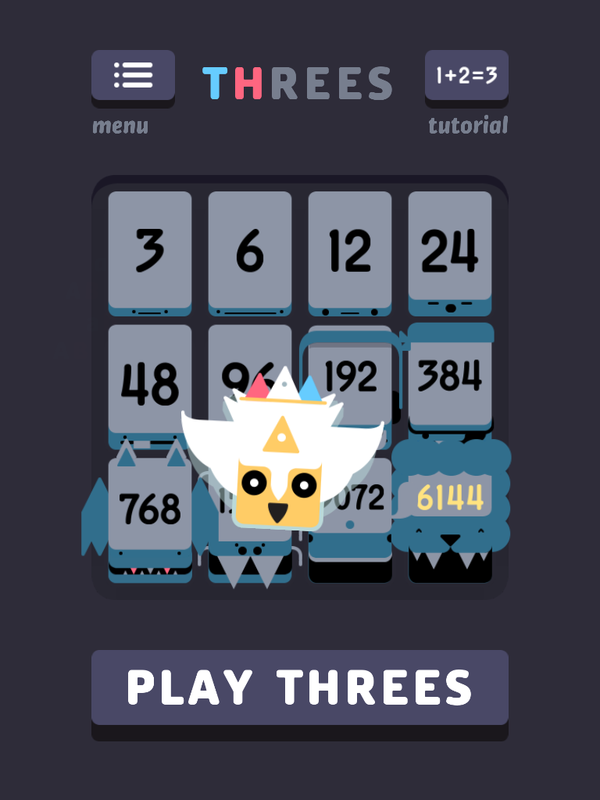 The tri-force tile flying across the screen in the image above is apparently a stand-in for the 12288 tile. God help me if I ever get to that.